On February 7th I’ll be hosting a twitter chat to introduce y’all to LuxeYard. LuxeYard is a flash shopping site that features stunning home furnishings at up to 70% off. Previously I wrote about LuxeYard and gave you some insight as to how they’re able to source the furnishings. 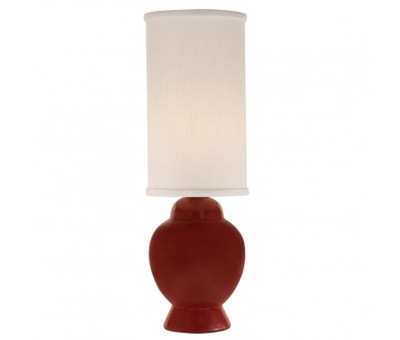 One of my favorites this week is the Ginger Red Lamp. Save the date because on February 7 at 10 am PST (11 MT, 12 CT, 1pm ET) we will we chatting with the folks from LuxeYard about ways to make your home a sanctuary without breaking the bank. Christine Kirk will also be joining us, she brings an incredible eye for design and a fondness for everything luxe. Participate. In addition to giving you great advice the folks at LuxeYard will also be giving two lucky participants LuxeBux. LuxeBux are credits that can be spent on anything in the LuxeYard Store. In order to be eligible to win one of the two LuxeBux prizes you must have a LuxeYard account. All it takes is an email address and a password. Set up your account now. To win a $50 gift card to the Coffee Bean and Tea Leaf follow this link. Be sure to follow the panelists and RSVP here with Mr Linky so that everyone can follow you back. Please leave your name and for the link make it your twitter ID. Mine would be http://twiter.com/JessicaGottlieb. The hashtag for the event is #LuxeHome. Uh oh. Ikea is gonna get lonely and jealous if I spend any more time on LuxeYard. Can’t wait! I am dying to look at their stuff and the Chat should be fun! See you then! Didn’t want you to be sitting in that empty restaurant – where is the waiter?